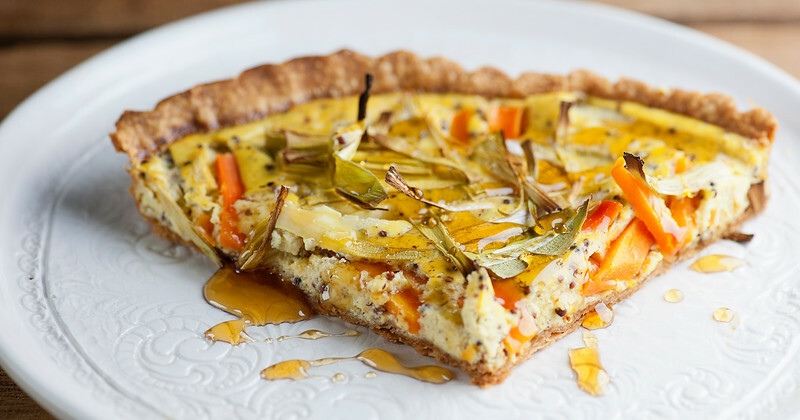 This easy recipe for carrot leek mustard tart is a light and lovely spin on quiche, full of veggies with a zingy mustard flavor and a sweet drizzle of honey. Perfect for brunch or a light supper. If you ask the Southern husband what his favorite flavors are, odds are he will have both mustard and honey at the top of the list. Our fridge always has multiple jars of mustard in it, and our cabinet always has multiple jars of honey in it (his current fave is Cloister honey infused with bourbon, which the Southern daughter gifted him recently). As for me, I do love me some eggs, even without bacon. So it kind of seemed inevitable that this carrot leek mustard tart, full of eggs that have been whisked with sour cream and drizzled with a little honey, was meant to be. And to make things even more wonderful, it is so chock full of veggies that it is a perfect all-in-one meal. Let’s make it! This starts with a pie crust, and if you are more ambitious than I am, you can make your own…here’s a recipe for perfect pie crust from my friend Robyn at Add A Pinch (have you gotten her amazing cookbook yet? SO GOOD!). If you are like me, the pre-made store-bought kind is a-ok! You are going to bake it up a little first before you put in the delicious filling. You need some kind of pie weights for this – these are the kind I use, but you can also use dried beans. The pie weights are going to keep your crust from puffing up too much as it bakes. 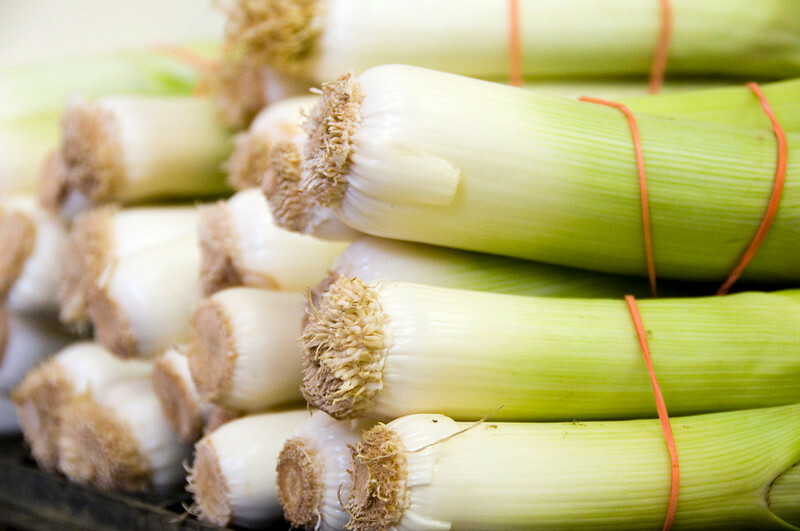 Same with a leek – cut off the root end and the dark green part, cut it in half length wise, rinse it well and cut it into two inch strips. Anyway, while your crust is baking, you are going to simmer the veggies in water until they just start to turn tender. 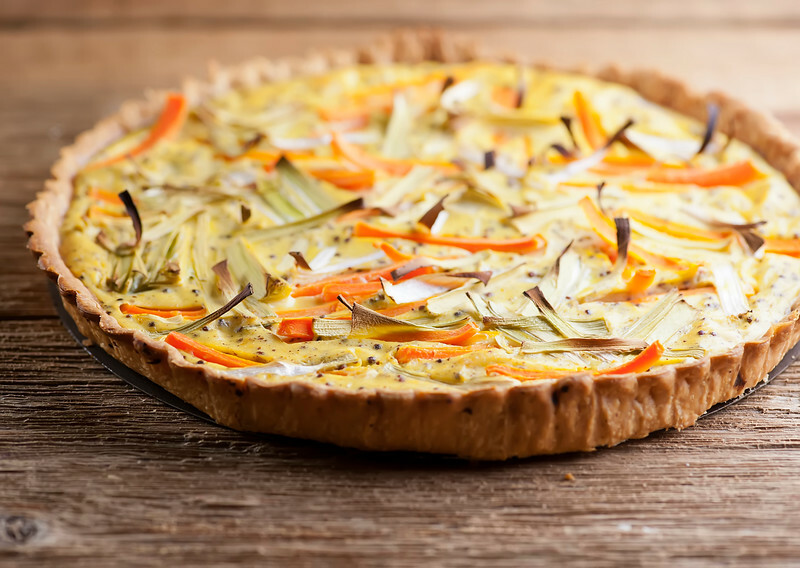 Once the crust is out of the oven, it’s just a matter of whisking the eggs with some sour cream and mustard, pouring it into the crust, scattering the veggies on top along with some fresh pepper, and popping it back in the oven until the filling is set. Isn’t it the prettiest thing? Now, it would be just fine as is, but you know how much I love the sweet and savory thing, so once I have it cut up into generous wedges, I drizzle on just a teeny bit of honey. And we all lived happily ever after. What are YOUR can’t live without ’em flavor combos? Preheat oven to 400. Spray a 9 inch tart pan or pie plate with cooking spray and press the crust into it. Fill the crust with pie weights (see note) and bake for 20 minutes. 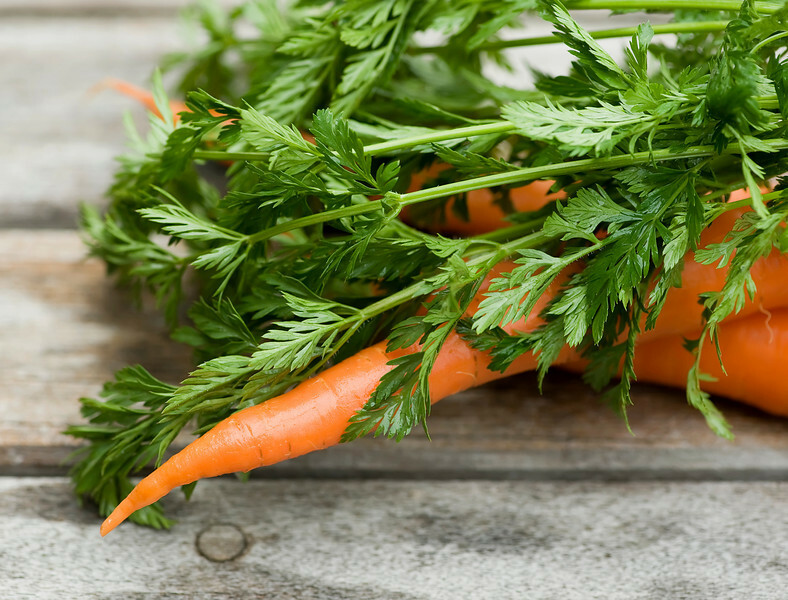 While the crust is baking, fill a medium sized pot with water, bring to a boil and add the carrots and leeks. Simmer until the carrots are just starting to get tender, about 5 minutes. Drain. Whisk the eggs, sour cream and mustards together and pour into the baked crust. Scatter the carrots and leeks on top and grind some fresh pepper over all. Bake until the filling is set, about 30 minutes. Cool for about 5 minutes, and then cut into wedges. Drizzle with honey and serve! If you don’t have official pie weights, dried beans work just as well! What a perfect looking pie! 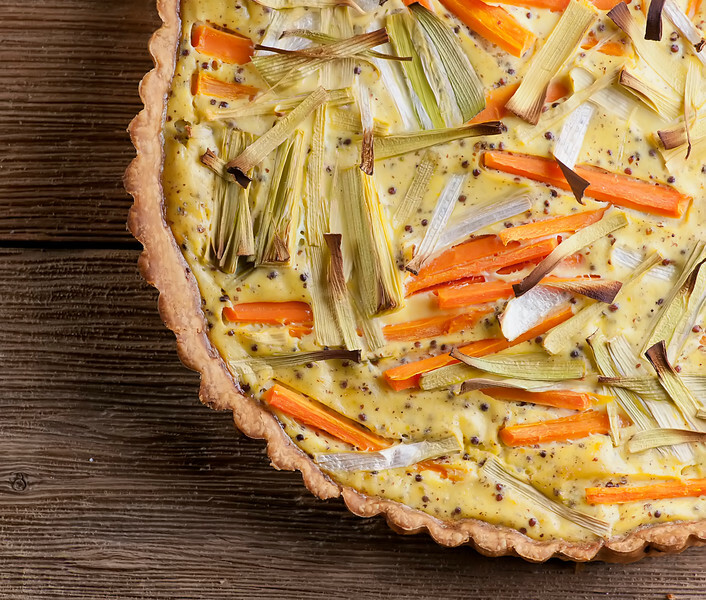 I had a very similar one with leeks and carrots at the weekend and it was delicious, but no honey and mustard in it. I bet that makes it even better, I have to try it! Beautifully presented! This looks so delicious, perfect for a classy weekend brunch! Yummy! I love this! This also makes good use of any spare veggies, meat, and/or cheese hanging around in the fridge to further the “no food left behind” policy. Here’s a tip for pie weights: I use dried beans and put them in an oven bag, the kind like you would use for roasting meat, and set the bag full of beans in my crust lined pie dish to do the par-baking. Then all I have to do is lift the bag out and no hot foil to deal with and no beans spilling all over the kitchen. You have just ROCKED MY WORLD, pie-crust-wise. What a great tip!! This looks AMAZING Kate! Such a satisfying, comforting dish for fall! 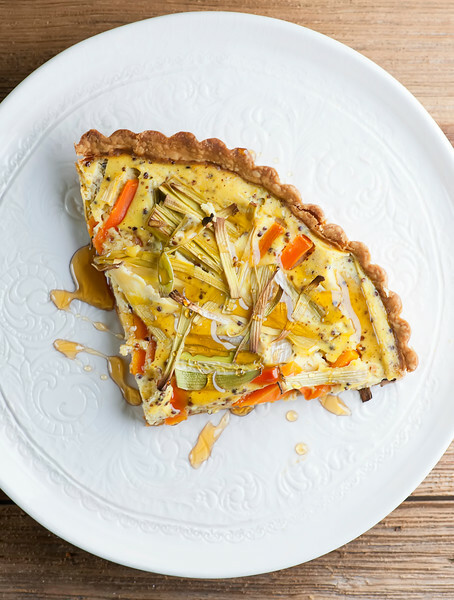 Thanks so much for sharing my pie crust – and sweet words about my cookbook! You are the BEST!